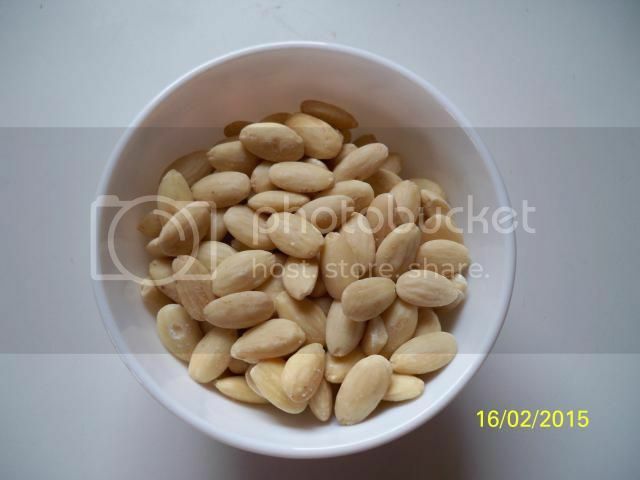 Different recipe too, super simple, 200g raw almonds (about 1 ½ cups), 1TBS melted butter, fine table salt (I used a very little "popcorn salt" - finer than that you can't get). 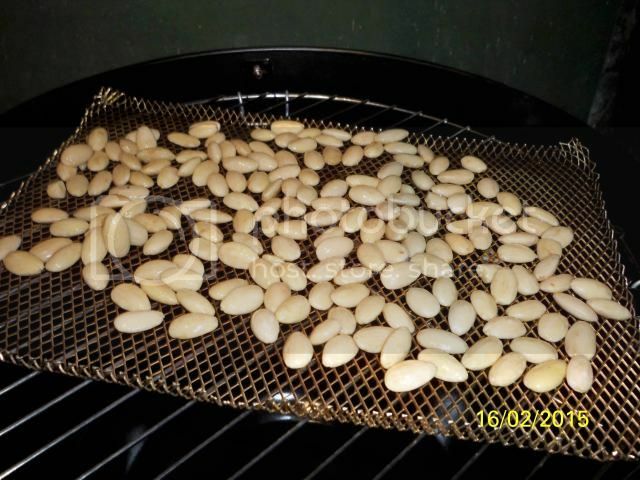 The recipe called for 20-25 minutes at 300°F - 325°F (148°C – 162°C). I used indirect heat, OAK for smoke and lump charcoal for heat. 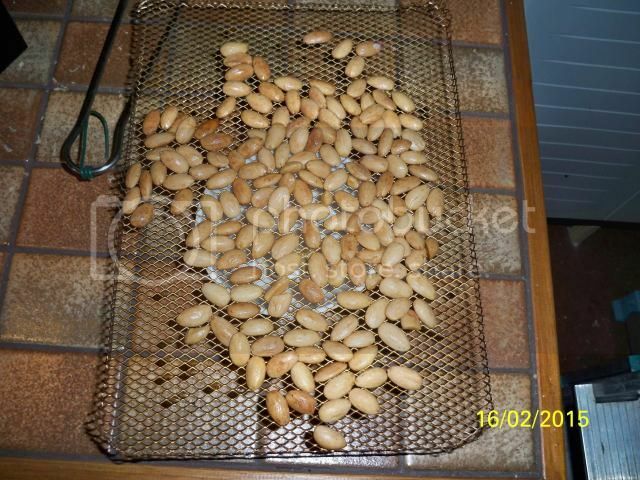 As you can see, I have not yet mastered the temperature in the Bullet, in this case it did not mater – the almonds came out great. She even thought that they lacked smoke ! 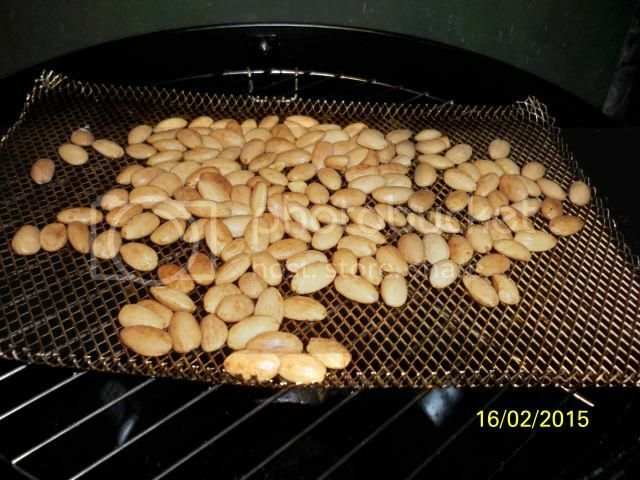 I dig smoked almonds, and that looks deeeelish! Thanks for putting that out there for us to enjoy! Very nice, the only problem I see is that you didn't make enough of them! !